CryptoBridge is a new player to the scene, and unlike some other decentralized exchanges around these parts I will hesitate to defame, the interface does not make me weep for the wasted potential of the underlying technology. All assets on CryptoBridge are fully collateralized and decentralized, meaning you are only going to lose funds either via your own poor trading or by fudging a deposit or withdrawal somehow. Counterparty risk is about as low as you could hope for. 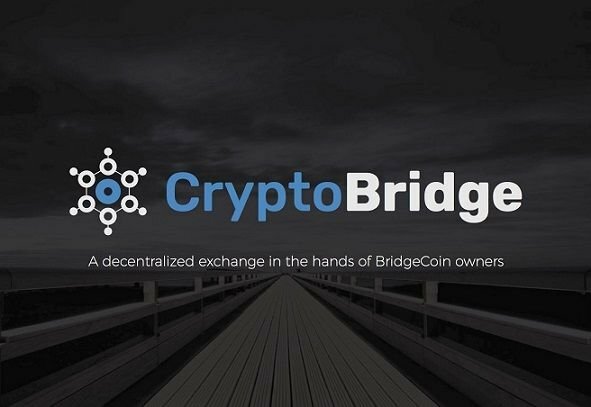 One of the distinguishing characteristics of CryptoBridge is the existence of Bridgecoin. 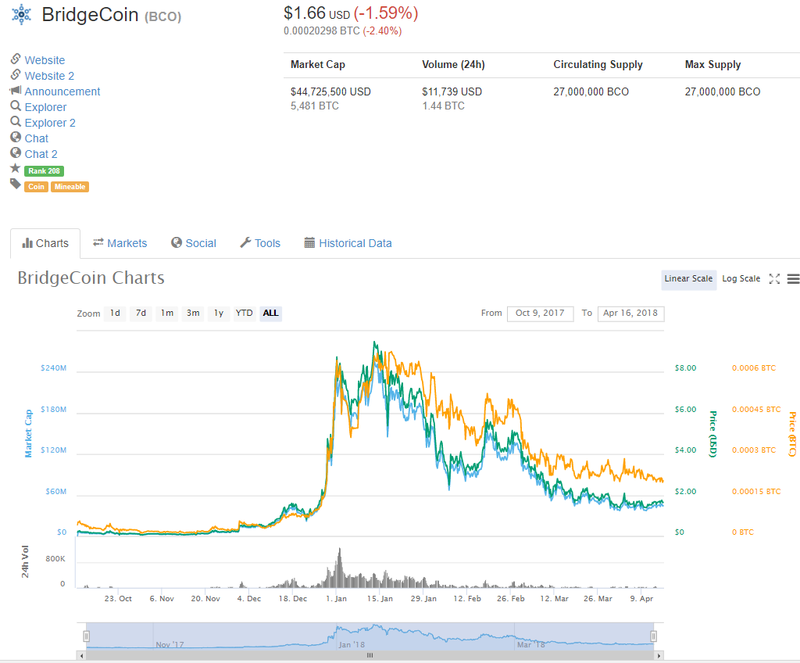 Holders of Bridgecoin are essentially the owners of the exchange, receiving a share of all profits from exchange operation not unlike Binance Coin, KuCoin Shares, etc. I'm to understand these profits materialize in the form of "dust" (presumably small) amounts of each and every traded cryptocurrency from the previous day, based on volume, so it may be necessary to hold a fair amount to receive "staking rewards" that would be worth paying withdrawal fees to extract. I was actually surprised the market cap was this high already. CryptoBridge is new (the client still says Beta) and small, so profits are small as well. Future growth could catalyze large increases in the coin, but only if some event causes the broader crypto market to de-risk enough to focus on decentralized exchanges despite their seeming "disadvantages" to those who otherwise ignore counterparty risk. You'll have to expand this image to account for my gargantuan resolution. Despite the need for a "right click > open image in new tab", you can hopefully see this is a rather fully featured exchange. I would actually describe the interface as above average, and it actually reminds me of Bittrex's new exchange interface. There is one fly in the ointment, and that's the connection reliability. Hey, at least it's connected. This is no doubt the result of the exchange being so new. Few people are operating nodes, and I noticed about 15-20 in the official list currently. There is an interface option within your trading account to quickly launch your own node and switch to it for a better connection, so as traders begin using the exchange there will no doubt be an increase in available nodes and this problem should become more manageable going forward. There is currently a lack of 2-factor authentication, so I strongly advise against leaving funds on the exchange unless necessary. Try SteemEngine and get rewarded for every follow or vote! See my explanation of SteemEngine here. Post via Busy.org for added exposure and upvotes from Busy! See how to get extra votes from Busy.org here. See my explanation of SmartSteem here. Try SteemFollower today and get rewarded for every vote! See my explanation of SteemFollower here. Join the Steemit Poker League! (@spl)World's Largest Cyptocurrency Freeroll Poker Site, open only to Steemians!